We love sharing and teaching about Essential Oils, so come on in and enjoy! Need we say more? This month's promos are AMAZING!!! Check out the details below! 15-ml Frankincense: Take a moment to refocus with the grounding aroma of Frankincense essential oil. This luxurious oil is a great complement to meditation, yoga, and beauty routines. Apply it directly to the skin or with a neutral moisturizer! 15-ml Lavender: Embrace spring blossoms with the clean, fresh aroma of Lavender. Use this oil’s signature scent in homemade all-purpose cleaners and air fresheners that are perfect for spring cleaning. Thieves® Fruit & Veggie Spray: Clean up your diet by adding fresh, seasonal fruit! Our Fruit & Veggie Spray uses naturally derived ingredients to help you eat more produce at home or on the go. Essential Rewards exclusive: 5-ml Blue Cypress: Take a trip outdoors with the woodsy scent of Blue Cypress and its fresh-air feel. Use this oil topically or aromatically to create an environment perfect for a quick breather. Essential Rewards exclusive 5-ml Lime Vitality™: Add bright, fresh flavor to food and beverages with just a drop of zesty Lime Vitality! Use it to simplify marinades and meal prep or to add some zing to purified or sparkling water. 5-ml PanAway: Hey there muscles! You know you love you some pan away! Essential Rewards points: Treat yo' self!!! I'm eyeing up the Art skin care line. Or just hoarding for when my favorite hard to get oils come back in stock so I can place a quick order without worrying about waiting for my ER order to process and then get them fo' free! 5-ml Palo Santo: A spicy, woodsy oil that can be used to create a calm and relaxing atmosphere. Palo santo my help to increase focus and meditation, so you might want to pack this one with your yoga mat. 15-ml Wintergreen: Add to some coconut oil for a cool, tingling neck and shoulder massage. Muscles love wintergreen! Bonus Essential Rewards exclusive: 15-ml Eucalyptus Radiata: Love this one in shower bombs for happy breathing and diffused for a fresh clean smell! Bonus Essential Rewards exclusive: 5-ml Lemongrass: The fresh, clean scent of lemongrass is perfect for diffusing, on dryer balls for fresh smelling laundry and even in in diy lotions. Manuka essential oil supports the appearance of healthy-looking skin, may reduce the appearance of blemishes, and can be added to your favorite skin care products. Melrose™ is a blend of essential oils with powerful cleansing properties that supports the appearance of skin. It is a blend of Melaleuca (Melaleuca alternifolia), naouli (Melaleuca quinquenervia), rosemary (Rosmarinus officinalis), and clove (Syzygium aromaticum). 15-ml Abundance: AbundanceTM combines authentic essential oils such as Orange, Frankincense, and Ginger—fragrances that ancient cultures believed could magnify a sense of abundance, joy, and peace. 5-ml Joy: The aroma of JoyTM encourages romance, bliss, and warmth when diffused. When worn as a fragrance, Joy invites a sense of togetherness. Bonus Essential Rewards exclusive: 5-ml AromaEase: Apply Aroma Ease topically to enjoy a refreshingly cool sensation or diffuse it to bring its cool, minty aroma to your home. Did you know that Young Living has their own official Vimeo channel? They have shared some really amazing videos there: from how-to recipe videos, to product information, the harvesting process and even videos showing how your purchases help them give back through the Young Living Foundation. Visit their official Vimeo channel HERE. Check out this month's line up that can be yours for FREE with qualifying purchase! Just for Kids Collection: Including 5-ml bottles of Young Living's popular Owie, TummyGize, and GeneYus essential oil blends, this April-exclusive collection is the perfect trio to have on hand when spending time with your terrific tots! Digest & Cleanse: Encased in Young Living's precision delivery softgels for optimal absorption and targeted relief, Digest & Cleanse is formulated with time-tested essential oils that work to help support normal digestion. 15-ml Orange: Orange essential oil is cold-pressed from the fresh fruit, which imparts a sweet, citrus aroma whenever used. Diffuse Orange to enjoy its invigorating scent. 5-ml PanAway: Combining Wintergreen, Helichrysum, Clove, and Peppermint essential oils, PanAway is a cooling blend that’s great to use in massage after a full day of activity. Bonus Essential Reward exclusive: 15-ml Stress Away: Stress Away contains the unique combination of pure, therapeutic- grade Lime, Vanilla, Copaiba, and Lavender essential oils that brings a relaxing, warm, tropical aroma into any environment. One of my favorite products from Young Living is Thieves Household Cleaner! We have replaced every nasty chemical cleaner we used to own with this gem. I clean our counter tops, floors, windows, tub/shower, grout, oven, carpets and pretreat my laundry with it just to name a few. Check out the graphic below for some great tips on how to use Young Living essential oils to safely clean your home. Young Living is getting us ready for spring with this month's promotions! Snag these items for FREE with qualifying purchase! MultiGreens Capsules: MultiGreens is a unique powdered daily supplement that combines spirulina, alfalfa sprouts, barley grass, bee pollen, eleuthero, Pacific kelp, and therapeutic-grade essential oils. Bonus Essential Reward exclusive: 5-ml Citrus Fresh Vitality: Combining Orange, Tangerine, Grapefruit, Lemon, and Mandarin oils with a hint of Spearmint, Citrus Fresh Vitality essential oil is a proprietary Young Living blend that is an ideal addition to desserts, salads, and drinks! Let's talk about Carrier Oils! If you are new to oils, you probably have noticed the term "carrier oil" used frequently and might be wondering what in the world we are talking about! So let's take a look at what they are, why we use them and what our favorites carrier oils are. A carrier oil is a naturally derived vegetable oil (usually made from seeds, nuts or kernels from the plant) with a neutral smell that can be used to dilute essential oils. Carrier oils help to make sure that essential oils applied topically are comfortable to the skin. Dilution with a carrier oil does not dilute the theraputic quality of the essential oil. In fact, it can help you avoid waste during frequent applications. So how do you know what ratio to dilute your essential oil? Just check your label! Young Living EOs have a specific dilution ratio for each oil listed on the bottle. You can learn a lot from the back of those little bottles - not every oil can be used in all 3 ways (topically, aromaticly & internally) so always be sure to check! Combing cocoa butter with shea butter or coconut oil and either peppermint or orange essential oil makes the BEST smelling body butter! Yum! When in doubt, ask your enroller! Whether it's where we like to purchase our supplies, what carrier oils we prefer for specific applications or even our favorite recipes, we are here to help. And believe me, when you get us talking about oils, it's hard to get us to stop! One of the many amazing oils that you can get for free from Young Living in February (with qualifying purchase) is Patchouli. Patchouli (Pogostemon cablin) is a bush-like herb of the mint family. It has an earthy scent with woodsy undertones and is an important ingredient in DiGize™, Abundance™, Peace & Calming®, Live with Passion™, Magnify Your Purpose™, and Allerzyme™. Patchouli essential oil is great for supporting the skin. It may improve the appearance of dry, dull skin and is an ideal complement when added to your favorite skin care products. Looking to unwind? Diffuse this oil for a calming, relaxing, peaceful fragrance. Patchouli may also help to inspire feelings of romance. Next time you are ready to set the mood, try a combination of Ylang-Ylang, Patchouli and Orange in your diffuser! Ylang Ylang essential oil is sourced from beautiful yellow blooms from the Cananga tree. Ylang-Ylang means “flower of flowers". Ylang Ylang essential oil is distilled at Young Living's Guayaquil Ecuador farm. With nearly 2,000 acres of farmland, the Ecuador farm’s fertile ground and year-round growing season support an abundance of palo santo trees, lemongrass, ruta graveolens, and many more local plants and herbs. This farm is also proving to be the perfect place to harvest oils that are in short supply throughout the world, such as helichrysum. "You must know the best time of day to pick the leaves or flowers or harvest the entire plant from the field. In other words, you must know the best time of the day to harvest, when the Brix measurement is the highest, which measures the glucose levels in the plant, to determine the best time to extract for the greatest quantity of essential oil. For example, the best time to pick Ylang Ylang flowers, when the Brix measurement is the highest, is from midnight to 4 in the morning. But it is hard to get people to pick during that time. So we pick from daylight until 10 a.m., because we have found that the oil volume is maintained until about 10 o’clock, and then we will start losing some of the oil as it leaves the flowers and returns to the branches. That is the reason that when we smell the flowers in the afternoon, the fragrance won’t be as intense, because the oil has gone back into the tree during the heat of the day to protect the tree from dehydration. Then at night as the temperature cools, the oil comes back up into the flower. It is very, very interesting to see how the tree preserves itself." Ylang Ylang is found in many Young Living skin and hair care products, and essential oil blends including Awaken™, Believe™, Clarity™, Dragon Time™, Peace & Calming® and Forgiveness™. It has a rich, floral and romantic scent. It can be helpful for calming and bringing about a sense of relaxation. It may also help with releasing feelings of anger and assist with getting rid of negative feelings. Ylang Ylang also has a long history in skin and hair care products—especially in Asia, where it is used to promote luxurious hair. Historically, it has been said that the marriage bed of newly wed couples would be covered with Ylang Ylang flowers to help promote feelings of romance. Love is in the air with February promos! This month Young Living is giving you something to love with their PV promotion! With your qualifying order, you can earn free bottles of Wintergreen, Patchouli, and Copaiba essential oils, free Essential Rewards points, and more. As a February-only bonus, you can also earn the I ❤ Oils collection filled with three sweet oils: Joy™, Ylang Ylang, and Grapefruit Vitality™. Earn these free products with your qualifying February order! 20 Essential Rewards points:Earn 20 additional Essential Rewards points with your qualifying order. Your Essential Rewards points can be used like cash toward many of your favorite products! I ❤ Oils collection: The exclusive Valentine’s Day collection includes three sweet member favorites: 5-ml Joy, 15-ml Ylang Ylang, and 5-ml Grapefruit Vitality essential oils. Take the power of massage to a whole new level. The essential oil blends in Young Living massage oils have the power to restore a sense of balance to mind, body, and spirit. Relaxation Massage Oil can help create a state of relaxation and restore vitality to body, mind, and spirit. Sensation Massage Oil leaves skin feeling smooth, silky, and youthful. The beautiful fragrance of Sensation may stimulate feelings of romance. All I can say is WOW!!! I thought when Young Living offered a free home diffuser in October with a qualifying purchase that they couldn't top it, then they offered FREE Franks in November and I was ecstatic! Then December came... Mind blown. Free Everyday Oils collection with qualifying purchase?! Over $278 in freebies this month?!? Ummmm... Yes please!!! Scroll down to get all the details! LBrianté Neutral/Winter Scent Lip Gloss: LBrianté Neutral/Winter Scent Lip Gloss offers two products in one convenient package: an essential oil scent roll-on that effortlessly glides over neck, wrists, and temples for a signature scent that’s all your own, plus a flattering neutral shade of lip gloss to add luster to your look. Did you know that frankincense is mentioned in the Bible over 50 times? It was was historically used as a holy anointing oil during religious ceremonies and can be traced back more than 5000 years. The gifts of gold, frankincense and myrrh given to Baby Jesus by the Wise Men, were gifts traditionally given to Kings. Frankincense comes from the Boswellia tree found in Oman. The tree naturally produces sap (or resin) as a way of healing itself when it is scored. The Boswellia Sacra tree (where Sacred Frankincense essential oil comes from) is especially unusual in the fact that it has the ability to grow in very unforgiving environments. It has even been known to grow out of solid rock. Young Living's distillery in Oman practices careful harvestation and rotation to protect these amazing trees from over use. 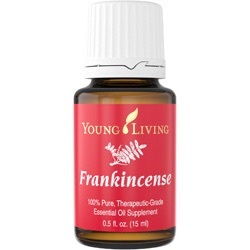 Young Living offers two different types of Frankincense essential oil: Frankincense (Boswellia carteri) and Sacred Frankincense (Boswellia sacra). Sacred Frankincense (Boswellia sacra) essential oil supports and maintains the appearance of healthy-looking skin, and has a grounding, uplifting, and inspiring aroma. Apply this oil topically to enhance meditation. Sacred Frankincense includes the naturally occurring constituents alpha-pinene, limonene, and boswellic acid, and it is an important ingredient in the Freedom Sleep™ and Freedom Release™ Collections, Common Sense™, RutaVaLa™, and Progessence™ Plus essential oils, and ART® Sheerlumé Brightening Cream. DinoLand and Dolphin Reef are the first Young Living models to be designed specifically with kids in mind. These two diffusers are a great part of our expanding KidScents line and are a phenomenal way to share the value of essential oil use with your young ones. The KidScents diffusers feature multiple lighting modes. During the day, kids can experiment with magical lighting options to create their own play scene. At night, give sleeping children the comfort of a customizable nightlight and subtle white noise. In order to allow for more variability, these ultrasonic diffusers feature a motor that can be matched with either cover, DinoLand or Dolphin Reef. Easily snap a new cover in place on the motor to match your child’s ever-changing imagination! Covers are also sold separately, so you can easily and affordably upgrade your child’s diffuser to provide either interactive scene. With DinoLand and Dolphin Reef, you can creatively incorporate essential oils into your child’s routine! Let your child wake up to the aromatic atmosphere of En-R-Gee or Citrus Fresh. Brain Power, Clarity, and Lavender are also kid favorites. This arsenal of proprietary blends has been formulated in the appropriate strength to meet the needs of children, and they are safe, natural alternatives to comparable products found on many store shelves. Is there anything better than mint chocolate??? As a conoseur of all things sweet - I think not! While shopping on Amazon, I ran across raw organic cocoa butter and decided it would make an amazing body butter paired with some Young Living peppermint essential oil. Making body butter sounds intimidating, right? It's actually very simple to do and I find it empowering to know exactly what I am putting on my body. No sneaky "fragrance" or ingredients I can't pronounce. Just natural goodness! 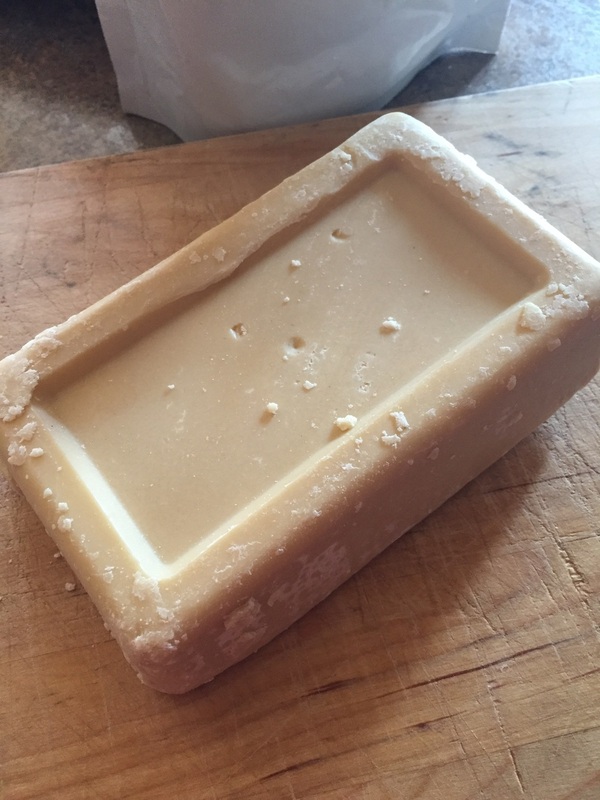 The cocoa butter I purchased came in a large brick. Warning: you will be tempted to EAT this because it smells so good! I ran a sharp knife under hot water and cut approximately 1/2 cup from the brick. I added it to a double boiler pan and set it on medium heat to melt. I then added the Shea butter and let the cocoa butter and Shea melt almost completely down, before adding the coconut oil. Once everything is reduced to a liquid, remove from heat and stir in the jojoba oil. Next, the mixture needs to come back to solid form so we can whip it with a mixer. I poured the liquid into my stand mixer bowl and put it in the refrigerator for about an hour. You can speed up the process by throwing it in the freezer as well, but don't let it get too hard or it won't whip well. 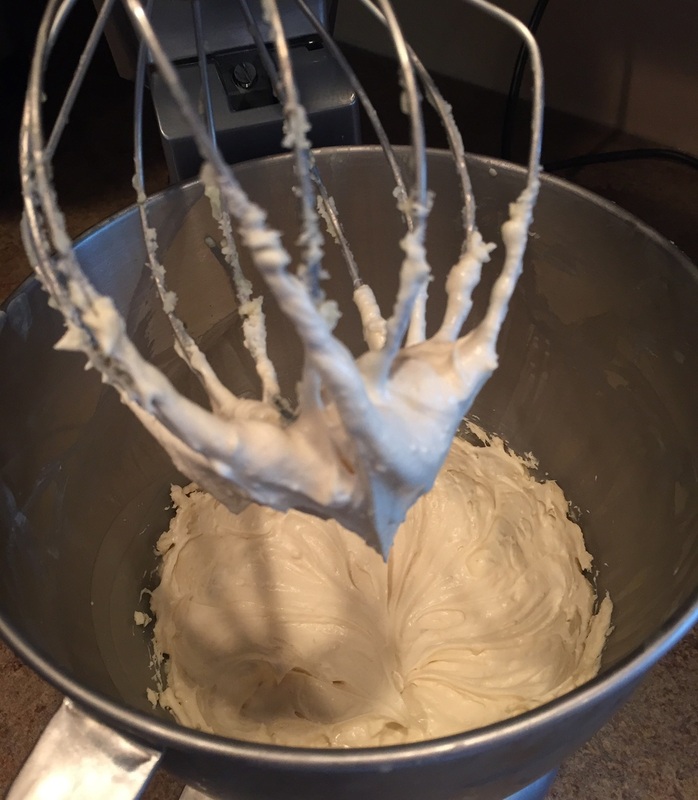 Once your mixture is somewhat solid, whip until soft peaks form. This is when I add the YL Peppermint essential oil. I always start small and let my nose decide what works best for me. Mix the oil in thoroughly and store your body butter in a glass jar. See!!! Easy Peasy!!! With those harsh winter months closing in on us, your skin will be thanking you for this moisturizing blend!